Home / Crypto Gambling Sites / Faucet / Provably Fair / Best Crypto Gambling Sites with Free faucet and Provably Fair! 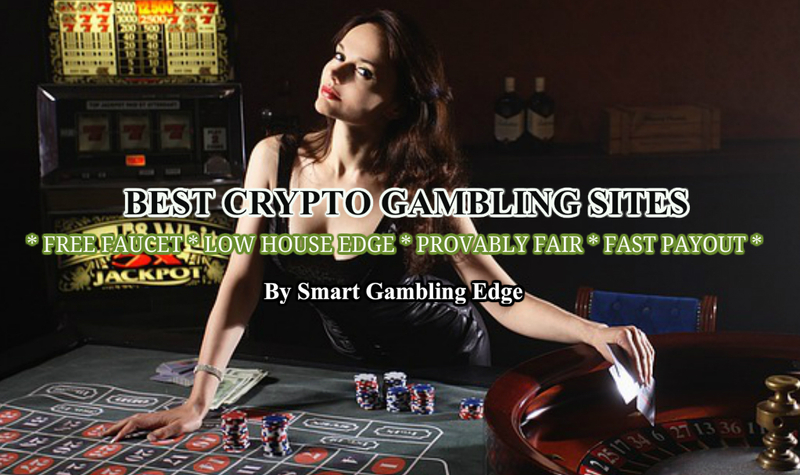 When it comes to crypto gambling sites there is wide range of sites to choose some offering just dice games while others offering tons of other games. Every one of the site below works on the provably system and does not have problem with payouts. Almost all have free faucet too that you can use to play when you have zero funds in your account. If the site does not have free faucet to play I will leave a note on the side saying it does not have one. 1) EtherGamesClub.com - Provably Fair, Multiple Cryptos, Fast Deposit and Withdrawal, Level up and Claim higher faucet, Low minimum base bet. 2) Casinoroyale.bet - Payout flexibility while rolling on dice, Best faucet, Free cryptos from chat games, Low minimum base bet. 1) Luckygames.io - 100 Crypto currencies to gamble on! Low payout & 1 satoshi base bet for all coins on dice. VIP and Legend only have access to faucet. 2) Stake.com - Simple interface tons of funs game to play on! 3) Bitsler.com - Highly trusted. Multiple games and cryptos to gamble on. 4) FortuneJack.com - One of the biggest crypto casino with provably fair system and dice too! 5) Crypto-games.net - Multiple games and simple interface too! 6) PF Dice 1Xbit.com: Advanced MD5Hash encryption, full flexibility on picking the roll number range, can change your payout anytime while rolling for maximum results. Faucet not available. Purely only dice gambling sites! 1) Freebitco.in & Freedoge.co.in - Free faucet every hour use it as a faucet site or to play on. 2) Primedice.com - Easy dice gambling with multiple cryptos. 3) Duckdice.com - The animations is pretty unique from all. 4) 999dice.com - Super fast auto bets, instant results. 5) YoloDice.com - The most complex dice auto set up can be done directly in the site. Disclaimer: All the links are referral links which will provide me with some commission when you bet on the site. Using it does help me indirectly so please use it!